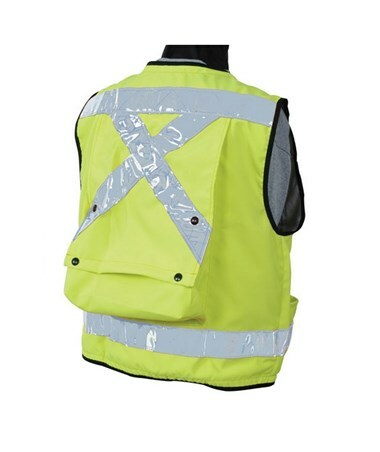 The 8063 Safety Utility Vest (SUV) is constructed of 100% polyester and is manufactured to meet ANSI/ISEA 107-2004 Class 2 and DOT MUTCD specifications for high-visibility safety apparel. 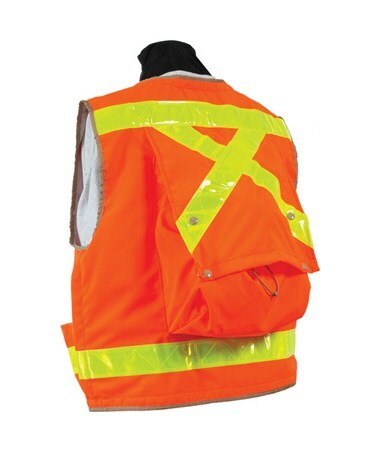 Combining the flash of the retroreflective material and the tremendous cargo space gives you the package you’re looking for in an SUV! Climate Control: The 8063 features a comfortable hi-tech liner made of a special phase-change material that redistributes and stores body heat. It moves heat away from your body in warm weather and insulates it in cooler weather. 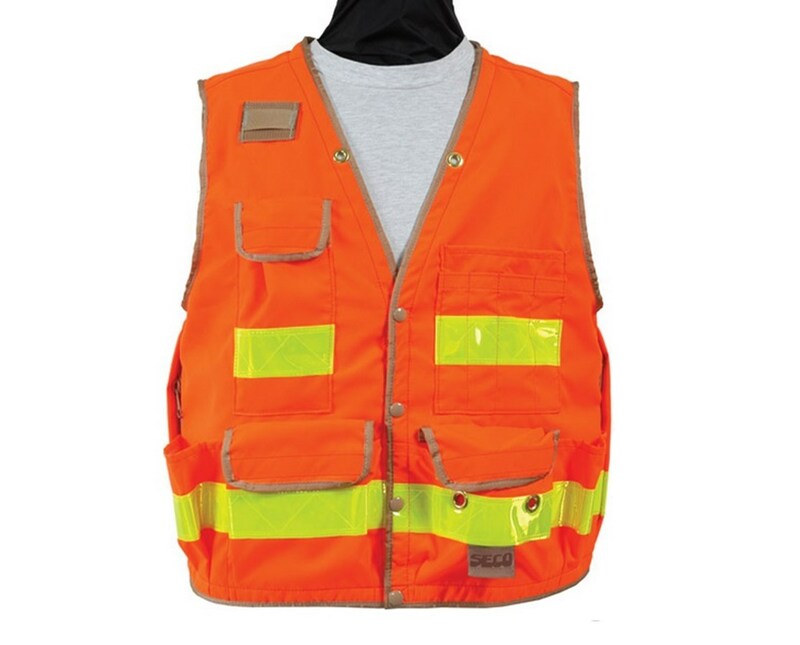 This comfortable new vest is destined to change the way you think about safety vests. Cargo Room: The special compartments include a field notebook pocket, pencil slots, compass pocket with grommet, oversized adjustable back compartment, flagging tape pocket with grommets, and inside pockets. There's even an exterior radio mic clip! 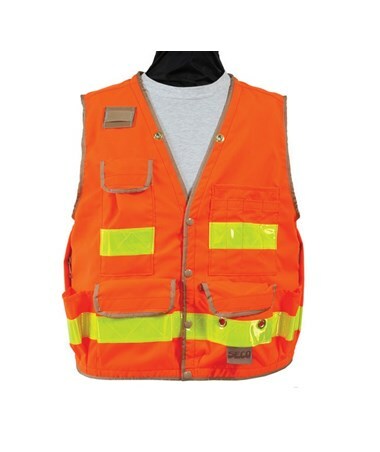 Sizing and Ordering a Seco Safety Vest"